Fellow Abreños, JOIN Gov. Joy Bernos celebrate her birthday with the 1st Gov. 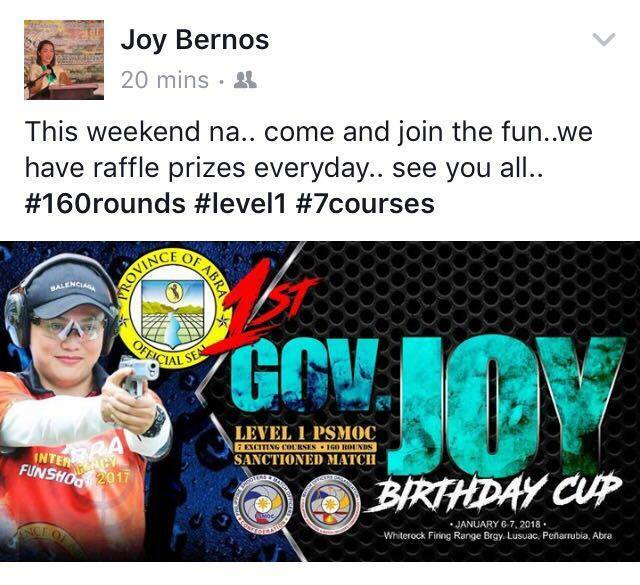 Joy Birthday Cup on January 6-7 at the Whiterock Firing Range Brgy. Lusuac, Peñarrubia, Abra!